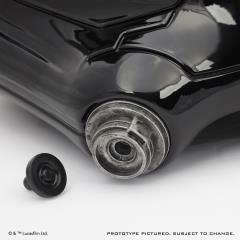 Note - Prototype product pictured, subject to change. The skilled pilots of the First Order launch into combat aboard advanced fighter craft, hunting down enemy vessels and protecting space around installations and warships. 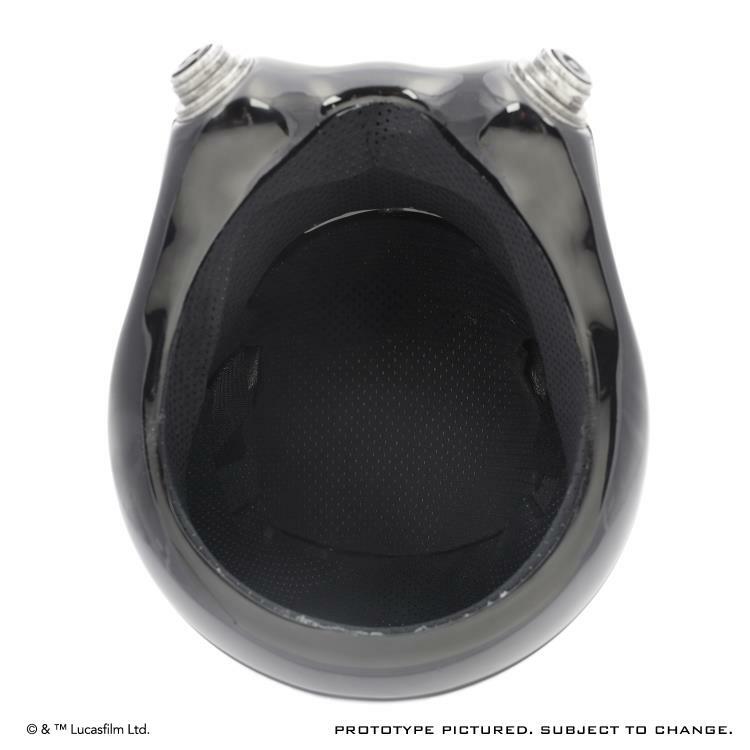 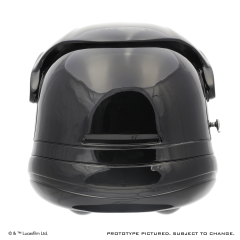 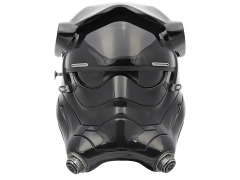 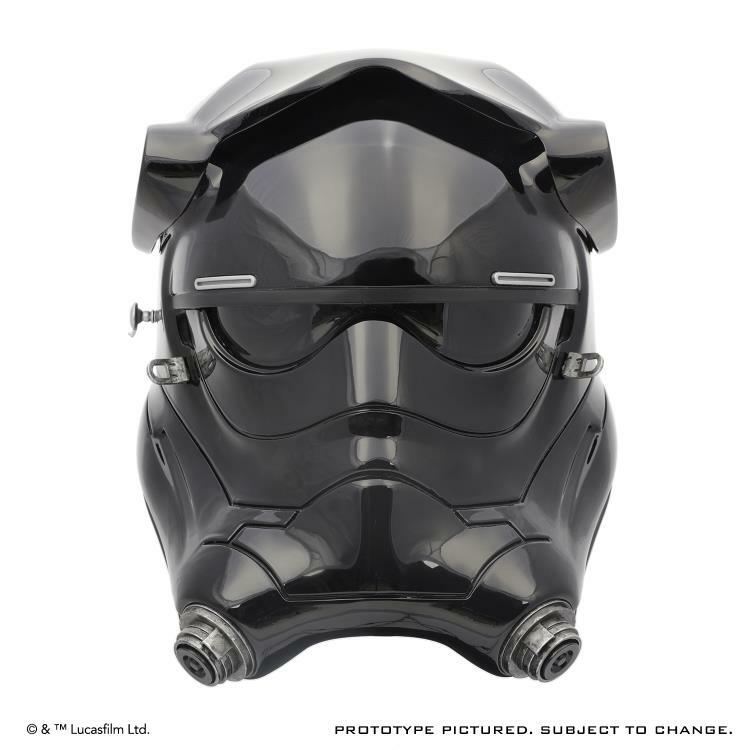 ANOVOS® is proud to offer the STAR WARS™: THE FORCE AWAKENS First Order TIE Fighter Pilot Helmet Premier Line Accessory. 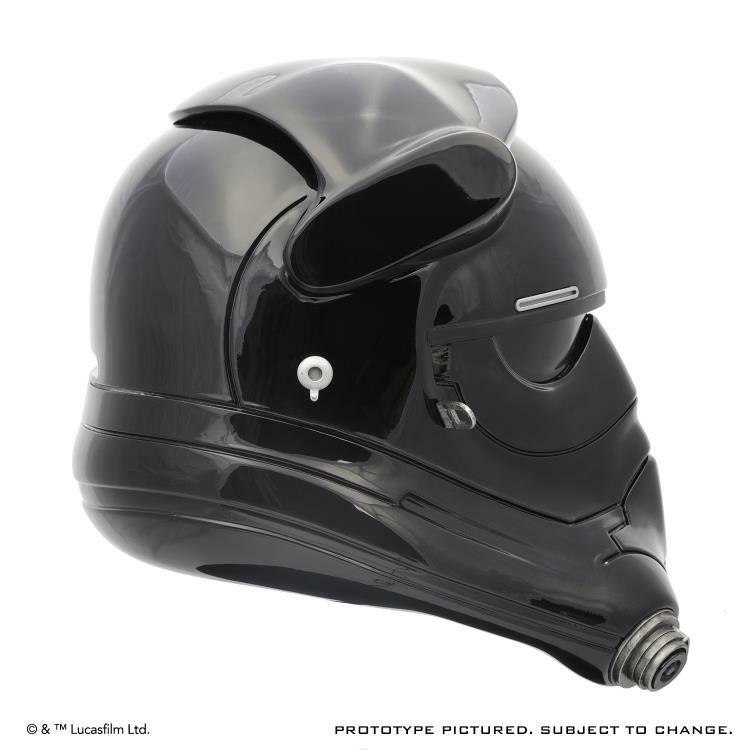 The Premier Line offering is for the insatiable collector, who needs every detail meticulously studied and excruciatingly reproduced for the ultimate wearable costume. This accessory includes details duplicated from STAR WARS: THE FORCE AWAKENS screen-used production assets.